Has YouTube abandoned its foundation as 'video for the masses'? For some time now, there have been persistent rumors about YouTube implementing a subscription model. According to a recent report from The Financial Times, the rumors are are starting to become a reality: YouTube will be rolling out paid subscriptions for premium content by the end of summer. Major music labels and a lot of indie labels have signed up for the new deal with YouTube, which is causing friction with the companies that have declined. Those refusing the deal are taking their complaints to the European Commission. If refusing to sign up for the deal leads to removal from YouTube, that’s very clearly using a dominant market position to strong-arm small producers. According to The Guardian, YouTube is also interested in creating a Spotify-style service, and the ongoing negotiations around this issue are likely heavily tied to that move. “We have successful deals in place with hundreds of independent and major labels around the world; however we don’t comment on ongoing negotiations,” a spokesperson told The Guardian. 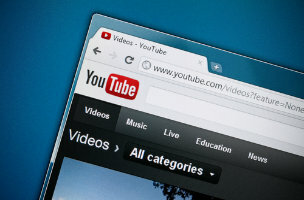 Because of the a continental divide between the larger media companies and the smaller content producers, YouTube frequently encounters a problem when implementing changes. While artists like Radiohead, The Arctic Monkeys and Adele may seem like industry leaders, they are signed to smaller labels. Many of the smaller labels are concerned that the subscription deal — and the related revenue-sharing terms — work in the best interest of bigger labels and the little guy will be crowded out. YouTube’s official answers to this point have been fairly vague. “Our goal is to continue making YouTube an amazing music experience, both as a global platform for fans and artists to connect, and as a revenue source for the music industry. We’re adding subscription-based features for music on YouTube with this in mind,” according to a Google statement sent to Gizmodo. So no deal is final at the moment, and while the feature is slated for this summer, it is likely that it will receive substantial tweaks before final release. That said, blocking could begin in as little as a few days.